Blog's Home › Uncategorized › What Is a .daa File and How to Play It? What Is a .daa File and How to Play It? First of all let’s find out what is a file with the .daa extension? Originally, this is a movie, but it was converted to another format for easy downloading. You should know that for playing .daa movies you need to install special player software that can read the .daa extension. If you have Windows on your computer, you can open .daa files with the native Windows media player. Another way to play .daa files is to install converter software to view this file format. For example, PowerISO software. What Is a .Daa File? Why Does It Have This Extension? The most common file formats for all movies are .avi, .mkv, or .mp4. But if you need to save a large movie file on CD/DVD, you will have to convert it to the .iso, .bin or .cue file format. Don’t know how to send large video files online? Do not share .iso, .bin or .cue files, because they are too large to send easily. It’s pretty easy to make a copy of your DVD contents today, but having to send large files online is usually a big challenge. To solve the issue, you can use special software that helps divide a large file into smaller pieces. It is much easier to upload and download smaller parts than one big file. Small parts of a large file are called “archive files” and the most common file format is .rar. But the .daa file format is also becoming very popular. With this file format you can create a lot of small files, which later can be reassembled into one file for viewing the whole movie. You already know that with the PowerISO software you can convert .daa files. Let’s go through the four easy steps to extract .daa files with PowerISO. Step 4. Click on ‘OK’ to extract the .daa file to the selected folder. Want to extract all files? Be sure to select the ‘All files’ option. 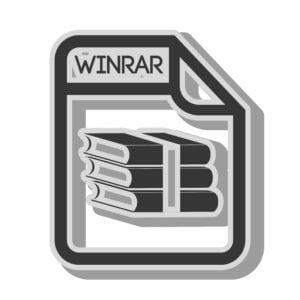 If you work with .rar files, we recommend using the WinRAR software. It is also called an archive manager program. The main purpose of WinRAR is to compress large files for easy downloading. This software is very powerful and popular among those who share large files online. With WinRAR, you can extract a downloaded file and convert it back into the original format that you can use easily. WinRAR is free software, but it has limitations: a maximum of 1136 kilobytes. After your first month of using, you will be asked to purchase it for $29. Looking for an easier way to send large files online? Check out this online file sharing service for very big files: FileWhopper.